"Hanging Baskets, Tubs and Pots" was the title of the talk given to members by Brian Carlson of Willand. He started his demonstration with a hanging basket, giving members advice on his recommended size of the basket, which is easiest to take care of. He then went on to show us his way of lining and filling the basket, the best mixture of soil and a selection of plants to use to give the best effect. Tubs and pots followed and advice given on planting, illustrated with pictures of all three containers including award winning items. The audience very appreciative and many questions were asked. The main advice he gave was to water containers once a day and twice a day in hot weather and deadhead regularly. The Chairman, Tim Nichols, thanked Mr Carlson for his interesting and informative talk. 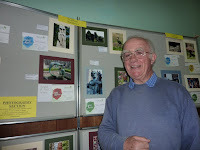 Brian Carlson from Willand is our guest speaker tonight at 7.30pm at The Memorial Hall. Discussing "Hanging Baskets and Container Plants, he will be bringing some young plants for sale. Guests entrance fee is £1 & free to members. Paul Fonnereau, one of the new owners of Cove Garden Nursery visited the Club to give an interesting talk on his subject "Plants for Shade", illustrated with slides. He started by giving us the causes and features of share, then went on to suggest ways of improving the situation. Next he described how many plants have adapted over the years, to cope with the problems, the slides giving us an insight as to how this has been achieved. The final section of his talk gave us plant selections which are suitable for difficult shady, damp and have these areas in our gardens. The evening finished with a question time, plant sale and usual cup of tea. Don't forget the next evening talk will be held on Tuesday 26th April at The Memorial Hall, Angel Hill commencing at 7.30pm. Brian Carlson from Willand will showing and discussing how to plant and grow successful hanging baskets and containers. Please come and join us - free entry to members and & £1 for guests (which is refunded if you decide to join). A new garden club has opened in Dulverton. £10 deposit required. Departure from Exmoor House Dulverton at 11am, please arrive 15 mins before departure. The 4th year of the highly successful open gardens; At least 16 Dulverton gardens will be open of which 8 are new this year. The main donation will be to The Youth Club. Programmes can be brought for £3 in advance from the Post Office or £4 on the day. On the day refreshments will be available in the Town Hall. Members £30.50 & Non members £33.50 (Inc. Coach, entrance, tour, high tea & a 10% discount voucher). £10 deposit required. Departure from Exmoor House Dulverton at 9am, please arrive 15 mins before departure. 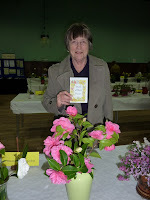 Sat 20th August Dulverton Flower & Produce Show, 2pm in the Town Hall. Visitors welcome, auction 4pm, raffle & refreshments will be available. If any would like to join us for any of these activities, please do not hesitate to contact me. Hardy Terrestrial orchid expert Jeff Hutchings from Laneside Hardy Orchid Nursery in Lancashire will be visiting the Chelsea Gold Medal winning Burnham Orchid Nursery at Newton Abbot for the weekend. He will be bringing a selection of specimen show plants for visitors to see and offering for sale the widest selection of outdoor orchids available in the country. These specimens will include a pot of the rare British Native Slipper Orchid, until recently represented by one wild plant in Yorkshire. At 11.30 each morning he will be giving a talk on how to grow these beautiful orchids in your garden or meadow and from 2.00 to 3.00 pm each day will be holding a clinic answering questions, giving advice and repotting customer’s hardy orchids. Why not take the opportunity to learn about hardy orchids, including our own British native orchids, take refreshments in the coffee shop and then wander round the exotic tropical orchids offered by Burnhams. Jeff has run Laneside from its inception in 2002 and has built up a reputation for providing good quality legally grown terrestrial orchids to customers throughout Europe. The 2011 catalogue lists over 150 different species and hybrids, providing orchids for any type of garden situation. He regularly exhibits at RHS and other major shows and gives talks all round the UK. Later this year he will be guest speaker at an orchid weekend in Germany. His book, “Growing orchids in a British garden” has sold over 750 copies during the last three years and provides simple information on what to grow and how to grow them. Last year he provided orchids for the wildflower meadow on top of one of the Olympic village buildings and has been involved in numerous native planting schemes. 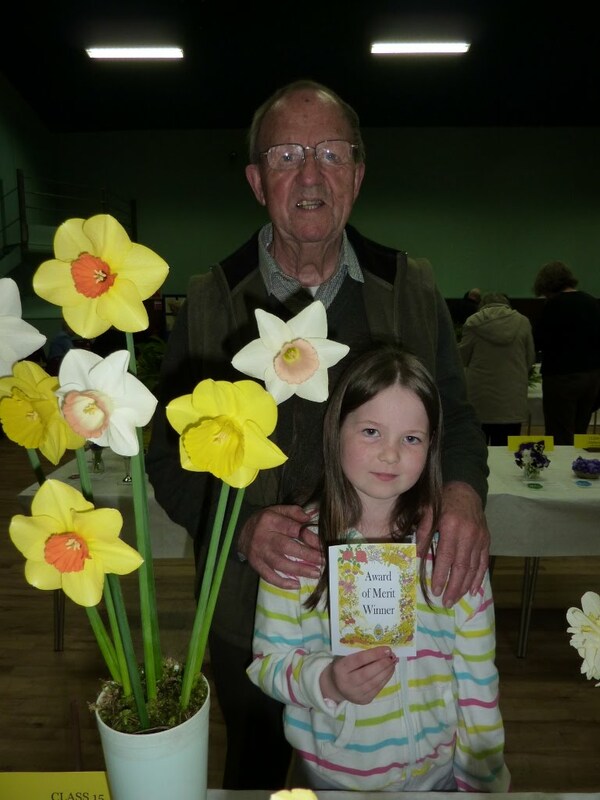 The Tiverton Garden Club’s Spring Flower Show on Saturday filled The New Hall with colour and fragrance. The early spring sunshine brought bumper blooms in many classes for the many visitors. The judges complimented the exhibitors on the high quality and hard work put into the presentation of their exhibits. In the Decorative Section the principal prize-winners were Tim Nichols, Angela Cottrell and Alby Berry. Tim Nichols won the Award of Merit for his ‘Royal Honeymoon Destination’ exhibit. 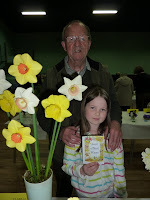 Alby Berry won the special award for the novice class ‘A Royal Wedding Breakfast’. The winners in the Children’s’ Sections were Paige Nichols and Milly Green. 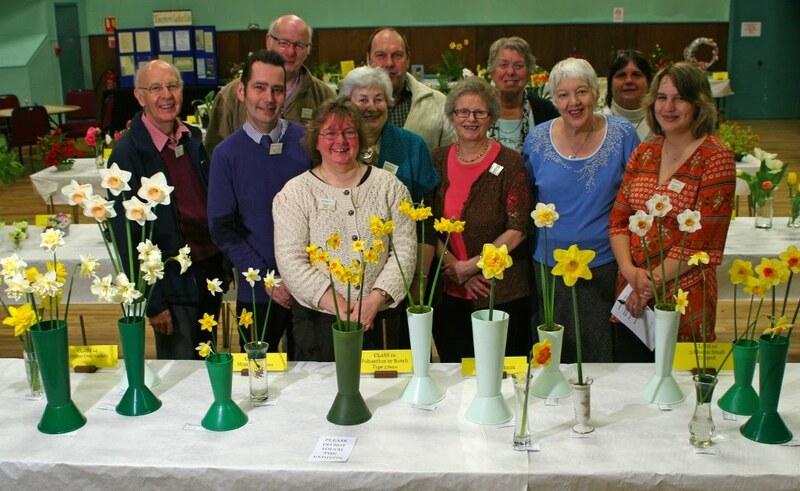 In the Cut Flowers Section the principal prize-winners were Alby Berry, Chad Stone, Ann Crawford, Rachael Hart, Mary Smith, Margaret Grose, Mike Long, Angela Parrott and Bette Delling with Chad Stone winning the Award of Merit for a vase of narcissi. 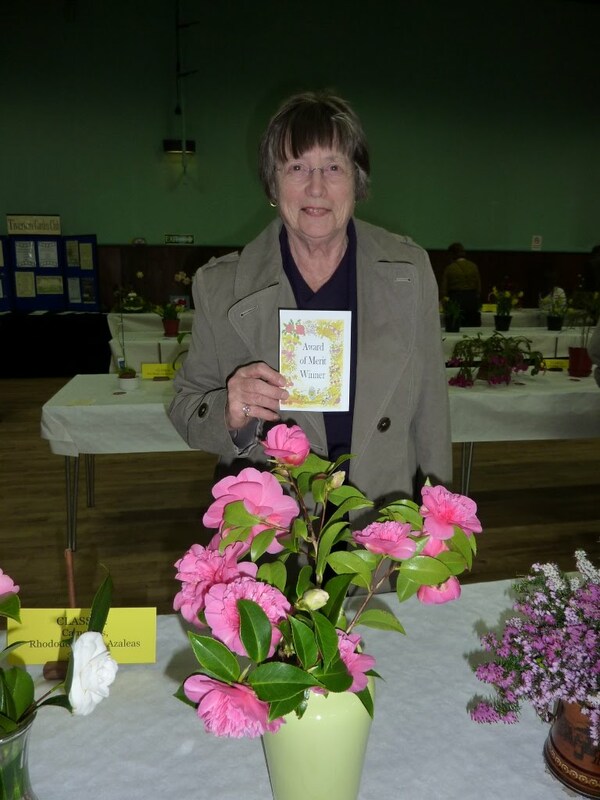 In the Shrubs and Trees Section the principal prize-winners were Ann Crawford, Monica Seatherton, Sue Sharpin and Jean Bennett, with Jean Bennett winning the Award of Merit for three sprays of pink camellias. 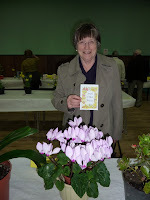 In the Pot Plant Section the principal prize-winners were Mary Coles, Jean Bennett and Jim Grose, with Jean Bennett winning the Award of Merit for a beautiful cyclamen. The Members Competition for a pot of Rip Van Winkle narcissi, provided by the Club, was won by Chad Stone who won the Sue Gollop Trophy. In the Photography Section the principal prize-winners were Ros Nichols and Alec Crawford with Alec Crawford winning the Award of Merit with his photo of ‘A Sculpture’ taken in Tewksbury Abbey. 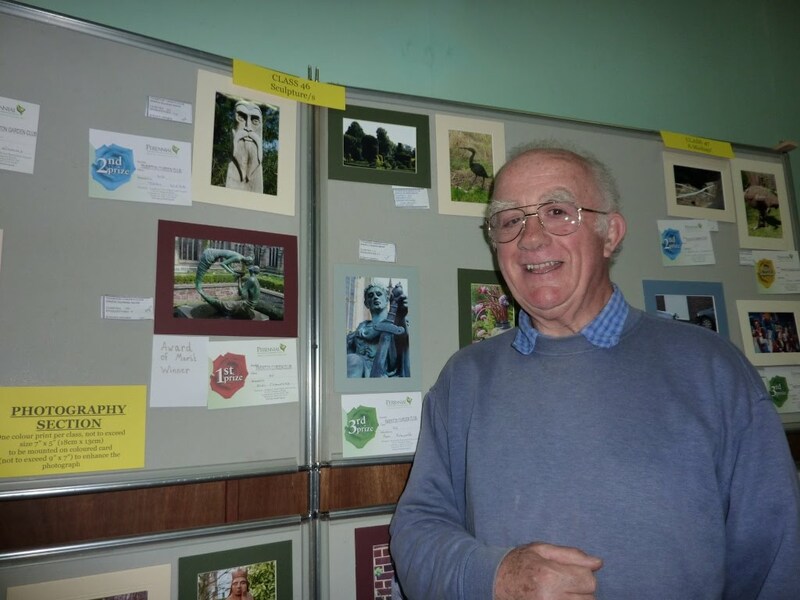 Finally, the Jubilee Class was won by Tim Nichols with 26 points for a collection including a flower arrangement, a specimen narcissi and a photograph. A close second was Ros Nichols with 25 points and third was Pat Cyprus. The Committee would like to thank the judges, Colin Barrow, Val Maunder and Keith Stone for their time and hard work.